A helicopter had to make an emergency landing in the parking lot of a Menard's on Chicago's North Side. CHICAGO (WLS) -- A helicopter had to make an emergency landing in the parking lot of a Menard's on Chicago's North Side. 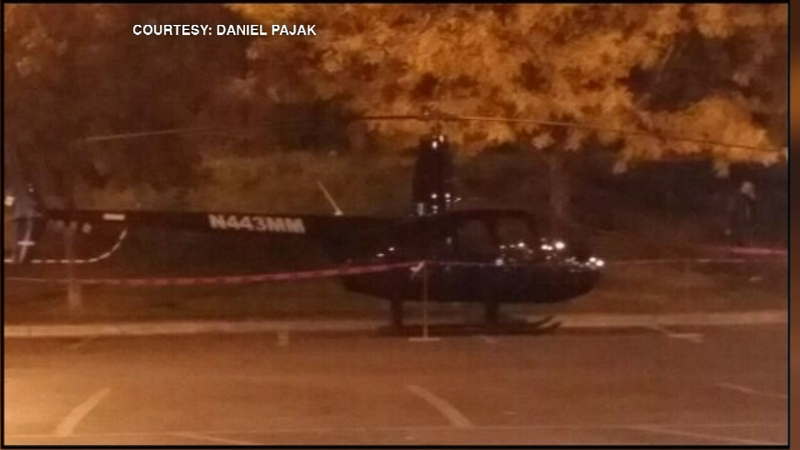 The pilot noticed the helicopter had an oil leak and had to put it down in the parking lot Wednesday night. The tail number shows the helicopter is registered to the Robinson Helicopter Company. The chopper landed safely. No one in the chopper or on the ground was hurt.